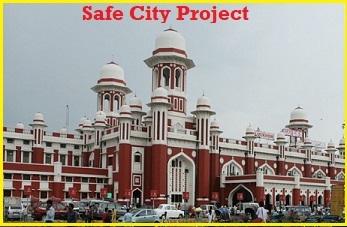 Union Ministry of Home Affairs (MHA) has approved a 'Safe City' project for Lucknow at a total cost of Rs.194.44 crores. It will be implemented by Uttar Pradesh Police. Safe City project would be implemented as a Centrally Sponsored Scheme with Centre and State sharing the funding in 60:40 ratio, under the Nirbhaya Fund Scheme. This is a part of MHA’s plans to implement Safe City projects in 8 selected cities, under the Nirbhaya Fund including Mumbai, Delhi, Kolkata, Chennai, Bengaluru, Hyderabad, Ahmedabad, and Lucknow. Safe City projects are to be implemented in consultation with Ministry of Women and Child Development, Ministry of Urban Development, Ministry of Electronic and Information Technology, respective Municipal & Police Commissioners of the cities and civil society organizations.